On May 9, 2005 darling Charlotte came into the world four weeks early. 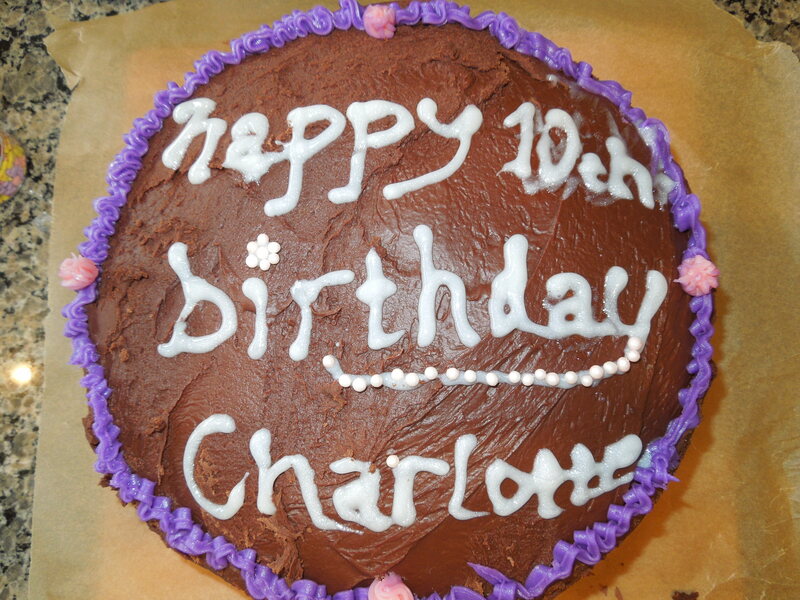 On May 9, 2006, I started my blog tradition of a letter to Charlotte on her birthday. In a perfect world, the letter would have been written and posted last night. Our world, however, is not perfect, so she’ll have to read it tomorrow! My mind cannot process the fact that you are ten years old today. What a magical and frustrating age (for you and for us, I’m sure)! You still have one foot firmly grounded in childhood–as easily awed by the wonders of the world as you are amused by my (sometimes lame) jokes, as eager to please as you are quick to anger and frustrate, and as creative, strong, and kind as you ever have been. Your other foot is on the edge of your biggest journey, into adulthood. I can see that it frightens you a bit, the vast future in which you need to figure out who you’ll be and how you’ll get there. 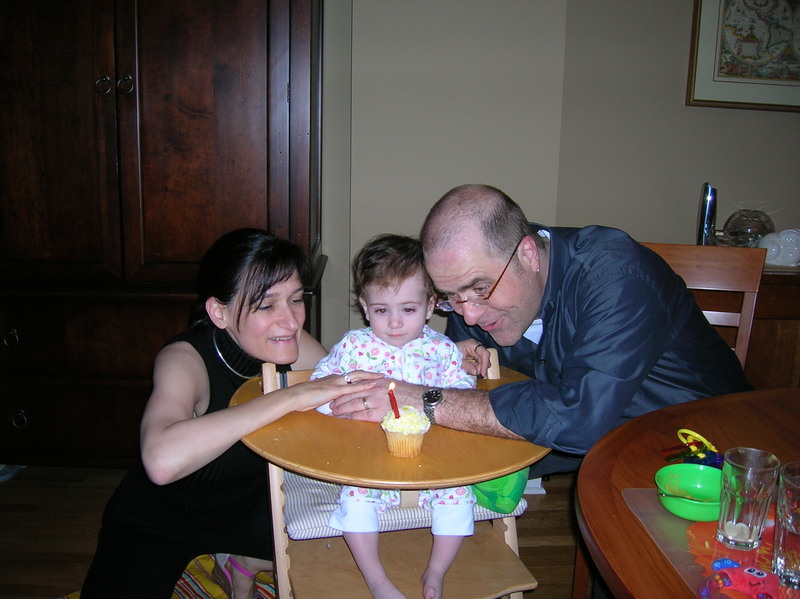 On May 9, 2005, we gave you a cupcake, Karley took a photo, and we went out to dinner (without you) to celebrate having survived a year that included premature birth, heart surgery, 49 days in the hospital, g-tube insertion, cardiac catheterization, and a cranio helmet, not to mention countless vomits, physical therapy, feeding therapy, meds, and more. You were thoroughly unimpressed by the cupcake as you were still largely tube-fed and tiny. A few years after this picture was taken, I finally realized just how scrawny your legs were and how huge your eyes looked in your head. You were (and are) our darling, energetic, bright star; we never saw what others saw–that your legs looked like skin-covered toothpicks. Only looking at this photo now can I understand the concern with which people always asked about your health. Today’s photo says it all, and yet says nothing. You are still our shining star. And now you know it and ham it up as often as you can. We began your special day with a trip to tour Frank Lloyd Wright’s Robie House because you were inspired by Blue Balliet‘s The Wright Three. Then, instead of your regular cod with chipotle mayo birthday dinner, we took you to our favorite upscale casual restaurant, Summer House Santa Monica. What this picture doesn’t show is how brave and strong you are or how similar and yet how different this past year has been from that first year. Again, you’ve had a cardiac MRI and open heart surgery. (That broken pinky is nearly forgotten). This time, you kind of diagnosed yourself and let us know something was wrong. There was no drama and you had a textbook recovery. You courageously shared your surgery with your classmates, and in turn they showed you unparalleled compassion. That’s the big stuff. On the smaller side, you went to sleep away camp for the first time, mastered long division, and proved that you can learn a hard piano piece if you put your mind to it. You’ve taken your chess game to the next level, played the piano for charity (the week of your surgery), and given your Belgian grandmother one of her best ever Christmases. My heart skipped a beat when you put change in the tzedakah box this morning, saying that you didn’t feel right keeping Jenny’s entire $10 gift for yourself. Best of all, you greet nearly every day with a smile or a full on giggle. Ever since you were a baby you have seemed to sense how precious a gift each day is. So, my darling girl, as you step onto this road ahead, know that you will grow back into the comfort you have with your scars. They do not define you–they decorate you much as the medals on the epaulets of a soldier’s uniform do. You have won the battle, with the help of the inestimable Team Charlotte. This year Team Charlotte is too vast to mention, for fear that I’ll leave out some wonderful nurse or tech at Lurie Children’s Regenstein Cardiac Care Unit. Thank you all, from the bottom of our hearts. Charlotte, may you ever grow from strength to strength. And as I tell you each day on your way to school, be calm, curious and creative and remember that I love you, all day, every day. On May 17, Charlotte will be RUNNING a 5K, Move for the Kids, to raise money for Ann & Robert H. Lurie Children’s Hospital. Charlotte chose this race, which she’ll run with her dad and her cardiologist, to mark her full recovery. Please click on the icon to support Team Charlotte. And register to walk or run with us! Categories: birthday, cardiac catheterization, Charlotte's Birthday, CHD, g-tube, regular kid, Uncategorized | Tags: Ann and Robert H. Lurie Children's Hospital, Birthday | Permalink.